Click Basin stocks premier solid oak bathroom cabinets, perfect for any sized bathroom. We ensure each of our oak vanity units are made from 100% solid oak. 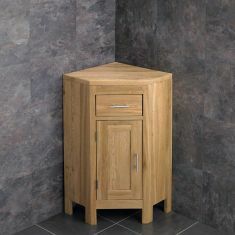 This means no MDF, chipboard or plywood are present to guarantee that you’re receiving the best possible cabinet, pre-assembled for your convenience. 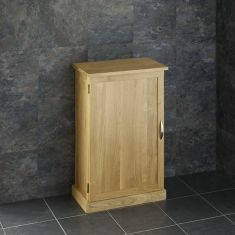 We offer a wide selection of cabinets, in different styles to provide the oak cabinet that you’re searching for. Look no further! 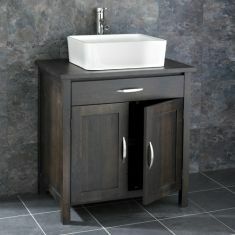 Our different ranges; CUBE, OHIO and ALTA cover all bases. 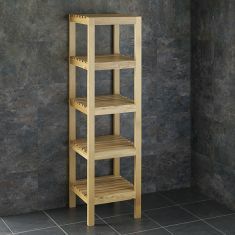 If you desire something more traditional or a sleek modern design, we have the unit for you. 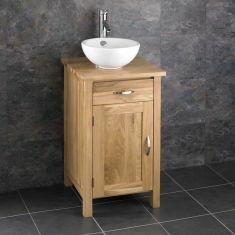 If space is an issue and you’d like a compact bathroom cabinet, we supply products perfect for smaller bathrooms, such as this 600mm X 500mm oak bathroom cabinet. 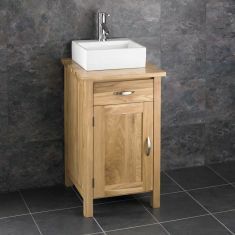 However, If you’re looking for a bathroom centre piece, our large double basin oak vanity units are a great consideration. 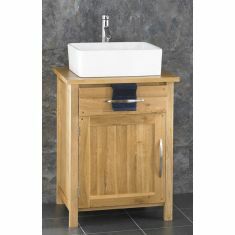 This larger alternative boasts useful features, such as central shelving for maximum storage and two handy basins. 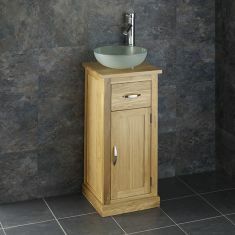 Each of the oak cabinets can be purchased alongside a basin with glass, stone or white ceramic colouring. 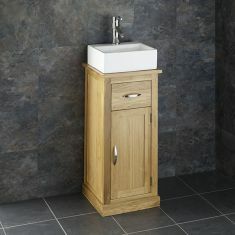 These can be completed with a Mono mixer tap and pop up waste to make sure you have everything you need in one delivery. 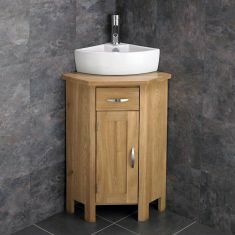 If you’d wish for a particular basin or tap, please do not hesitate to contact us with your preferences and one of our experienced team can help to further advise. 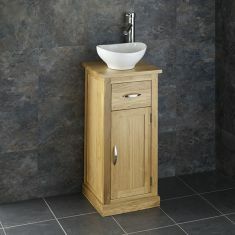 With each of our bathroom products, we offer a complimentary standard delivery service for your selected purchase. 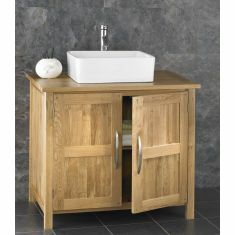 If you’d like your oak bathroom cabinet sooner, we also offer a reliable next day delivery service. 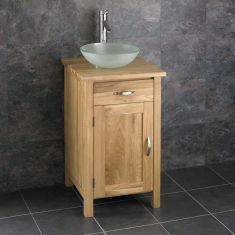 You do not have to mess about with attempting to build your cabinet when it arrives, as we ensure it is ready built for your ease.